Charles Harvey Middleton was born on March 11, 1922 in East Orange, New Jersey to the union of the late Oscar Middleton and Mary Ann Brewer. He was the third child of four siblings. He attended Newark Public Schools. Charlie, a World War II veteran, served his country overseas as part of the United States Army where he rose to the rank of Staff Sargent. After returning home from the Army, Charlie and his older brother, Mogwa opened one of the first black-owned supermarkets on West Kinney Street in Newark, New Jersey. It was from this location that he would go across the street to have lunch with Princess. Charlie married the former Princess Foust on February 14, 1947 and product of their union was Margaret Ann St. Fleur and Dr. Cheryl Middleton-Mitchell. Though Charlie lacked degrees, he made sure his daughters achieved the highest level of education. Charlie lived in Linden for more than 70 years. When he was younger, he enjoyed walking every day to the John T. Gregorio Senior Citizen Center, the Post Office and enjoyed conversations with people in the area. He worked as a Plumber's Assistant with his brother and nephew and built more than seven houses in the areas of Roselle and Linden. He was also the owner of Charlie's Bar on Fleming Avenue in Newark, New Jersey. In his early years, Charlie played golf with his closest friends and later enjoyed watching tennis star, Tiger Woods play on television. “Ace,” as he was often called, enjoyed playing cards, especially Pinochle with his card club in Newark and Burlington, New Jersey. 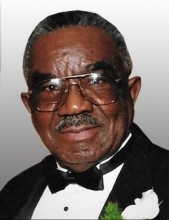 He was a Trustee at the First Baptist Church in Linden under the late pastor, Rev. Eugene Shell. Charlie was predeceased by wife, Princess Middleton; daughter, Margaret Ann St. Fleur; and siblings: Feldman Middleton, Sr., Leo Marcus Middleton and Edith Middleton Davis. Charlie is survived by the joy and pride of his life, his daughter, Dr. Cheryl Middleton-Mitchell (Leonard); two grandsons: Jean St. Fleur and Patrick St. Fleur; five nieces: Marian Simmons, Lorida Miller, Iris Brown, Mildred English and Beverly Foust; sister-in-law, Athalia Foust; special lady friend and confidant: Ruby Smith; special caretakers: Nicole Baxter, Beverly Stewart, Juliette Lumley and Lorida “Lolly” Miller; and a host of other relatives and friends. As with all of us, to God goes the glory. To send flowers or a remembrance gift to the family of Charles Harvey Middleton, please visit our Tribute Store. "Email Address" would like to share the life celebration of Charles Harvey Middleton. Click on the "link" to go to share a favorite memory or leave a condolence message for the family.